The goal of Rohweder Law Offices is to provide legal representation with Integrity, Respect, and Experience focused on protecting you, addressing your legal needs and securing your future. Kerry P. Rohweder, after initially working as a securities attorney, learned that he was a skilled trial lawyer. He converted his lawyer skills to working as an associate attorney for several years with a general practice law firm. After gaining considerable experience as a trial lawyer in the areas of family, civil, domestic and criminal law, Kerry established Rohweder Law Offices in 1997. Rohweder Law Offices is a litigation law firm where Kerry employs his trial skills with expertise in family law, divorce law, and criminal law. Kerry is a highly trained Denver family law lawyer who is uniquely equipped to protect your legal interests in a courtroom in the event resolution cannot be reached through settlement efforts. The Denver criminal law professionals of Rohweder Law Offices are personally trained by Kerry to ensure you are provided honest, thorough, thoughtful and respectful representation with special focus on meeting your present and future needs. Kerry believes that every client is a unique person deserving the committed and dedicated attention of legal professionals. Our services are provided with the integrity of the Old West and personal touch of a neighbor. Kerry P. Rohweder is a criminal and divorce lawyer in Denver who provides you 25 years of legal experience. He graduated from the University of Idaho College of Law in 1987 with a Juris Doctorate. 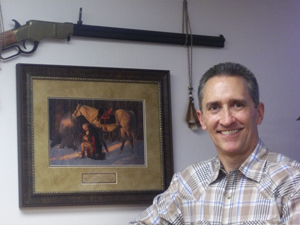 He also obtained degrees from Boise State University in 1982 and the College of Southern Idaho in 1980. As a Christian, he models his legal representation after the sacrificial advocacy of his Savior, Jesus Christ. Kerry is a passionate attorney who loves the challenge of the law and protecting people's legal interests both in and out of the courtroom. If your legal interests must be protected in the courtroom, Kerry is an attorney who possesses great litigation skills and is highly qualified in managing the complexity of the courtroom. 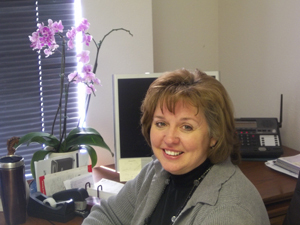 Laurie A. Shipman is a 1993 graduate of Barnes Business College and has 15 years of legal experience and training. She is a dedicated follower of Christ whose prayer is to be a lighthouse to her community and reflection of Jesus Christ.